June 15th is the 166th day of the year (167th day in leap years) in the Gregorian calendar. There are 199 days remaining until the end of the year. On this page, we have placed information about June 15th, including famous people born on, historical events that occurred on, holidays and observances that fall on, and astrological connections of, this day. 1215 Magna Carta signed by King John of England. 1389 Ottoman Empire defeats Serbs and Bosnians at the Battle of Kosovo. 1667 First human blood transfusion performed. 1752 Benjamin Franklin proves that lightning is electricity (traditional date). 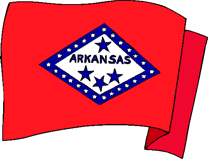 1836 Arkansas admitted to the Union as US state. 1846 Oregon treaty establishes the 49th parallel as the border between the US and Canada from the Rocky Mountains to the Strait of Juan de Fuca. 1954 UEFA (Union of European Football Associations) formed. 2008 Lehman Brothers files for bankruptcy precipating a worldwide financial crisis. 2012 Nik Wallenda is the first person to tightrope walk across Niagara Falls.